With every passing week West Ham United's acquisition of central defender Issa Diop looks a smarter piece of business. The 21-year-old, who signed for a club-record fee from Toulouse in the summer, is looking more assured with each performance, and is developing a terrific partnership with fellow new signing Fabian Balbuena. 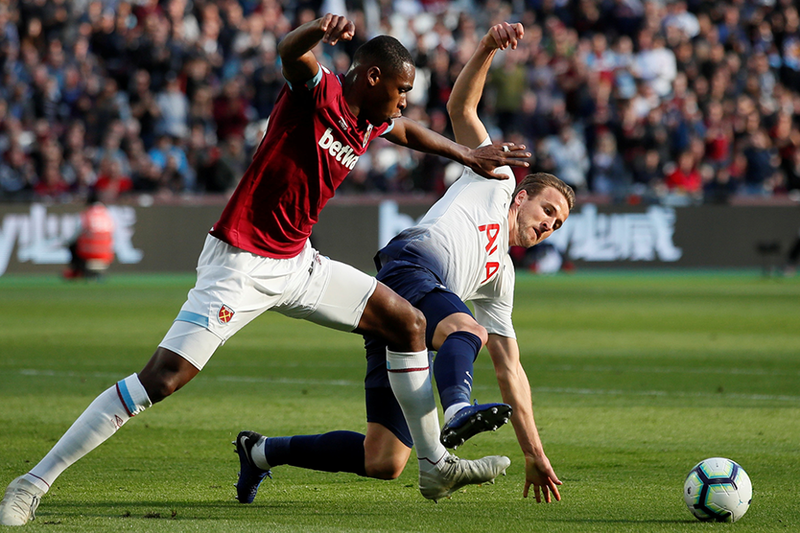 Impressing at home to Chelsea, Manchester United and Tottenham Hotspur in particular, the powerful Diop is forging a reputation as one of the most dominant centre-backs in the division. The standout feature of Diop's commanding display against Spurs last weekend was timing. Staying on his feet rather than committing himself, the youngster regained possession with a string of perfectly executed tackles, blocks and interceptions. In fact, quality decision-making has been a feature of his play since joining the Hammers. For a young defender with no previous Premier League experience to commit only three fouls in 630 minutes of action speaks volumes for his judgment. That composure in the heat of battle is reflected in his distribution too. The Frenchman misplaced only one pass against Spurs and is officially West Ham's most accurate passer with an average accuracy of 88.9 per cent. Despite his limited experience, Diop is already the most forceful member of Manuel Pellegrini's reshaped back four. Coming out on top in the vast majority of the challenges he makes, it is little wonder that Jose Mourinho recently described him as "a monster who dominated in the duels" against Manchester United. Statistically his figures are well in advance of the averages that West Ham produce as a team. Stung by two successive defeats, Leicester City are bound to go on the offensive when they host the Hammers on Saturday evening. Chief goal threat Jamie Vardy will almost certainly try to target Balbuena's lack of pace. The 27-year-old is one of the slower West Ham players, averaging a top speed of 28.9 kilometres per hour (km/h) across the last five PL contests. To combat this, Diop is likely to get tight to Vardy whenever the opportunity presents itself, or get himself close to Balbuena on the cover. Diop's 31.3km/h average in the last five matches makes him more suitable to contain Vardy, who has a top speed of 33.9km/h during the same period. West Ham's full-backs would be advised to show restraint too. If they leave gaps down Balbuena's side for Vardy or Kelechi Iheanacho to run into, they will be in trouble. Attacking midfielder James Maddison must also be wary of Diop's muscular presence. The Hammers' central defender is never afraid to step forward and challenge onrushing players with the ball at their feet. If Diop maintains his recent standards, breaching the Hammers rearguard will be no easy task for Claude Puel's men.